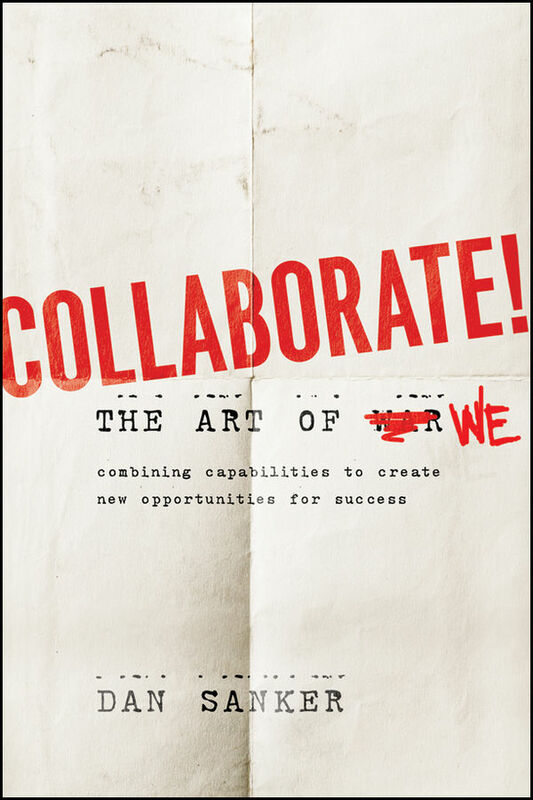 The 21st Century's counterpart to Sun Tzu’s The Art of War, Dan Sanker's Collaborate: The Art of We gives a new generation of pioneering business enthusiasts a practical guide to capture tomorrow's opportunities. Globalization, technological advances, and cultural changes have opened the door for a new winning formula that combines traditional competition with contemporary collaborative business practices. Readers will change their mindsets and learn practical tools to tap into talent, overcome organizational obstacles, and create dramatic incremental value by collaborating between organizations. While most businesses are battling it out for crumbs of market share, the author gives inside examples of emerging leaders who are staking claim to larger pieces of the economic pie. Intellectual honesty and proof-of-concept permeate throughout; even the book's own foreword was entrusted to a collaborative group of over 35 individual participants, a first of its kind and one more concrete example of the power of collaboration.